Not often your author reproduces a press release directly, but one popped in last week which is vaguely interesting, and worth sharing. It appears the people from a mineral water company are offering Londoners a chance to escape the hustle and bustle of London streets with an installation in West London. 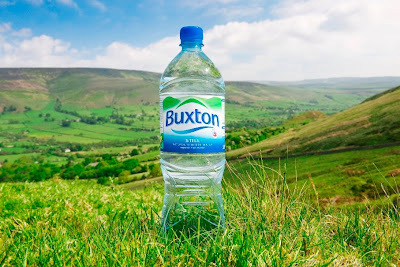 It's on tomorrow and the day after, and gives people an opportunity to try to pretend they're somewhere else, with trickling water sounds and noise cancelling headphones, to recreate the tranquillity of the Peak District. Last time your author went to the Peak District it rained incessantly, and it was unclear at the time of writing if this will be recreated. It's a publicity stunt alright, and one which - like they all seem to - takes place about five streets from the PR agency who thought it up. Still, it might sell a few bottles of water. 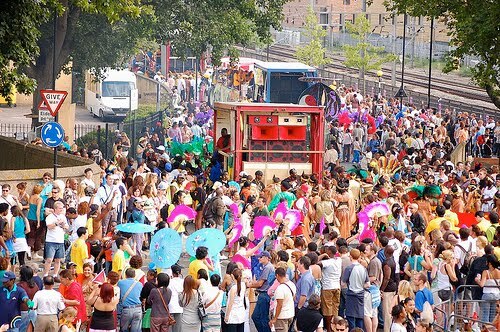 Today, in West London, we have reached the main day of Carnival. 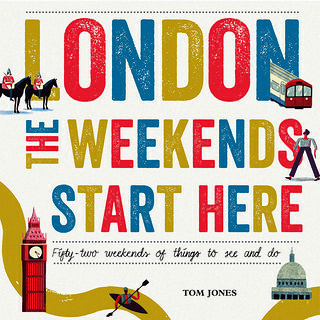 Held each August Bank Holiday since 1966, it is the largest carnival in Europe and the second largest in the World.. There are, apparently, twenty miles of parades, 40 static sound systems, 40,000 volunteers and up to a million Notting Hill carnival revellers. Your author is particularly excited to be returning this year as a punter, rather than a performer as in the last two years. As noted here last year, one good way to enjoy the carnival is to come from the North on foot or via Westbourne Grove Tube and to stick near the sound-systems, for example on All Saints Road, or by Norman Jay's Good Times Bus up around Southern Row. 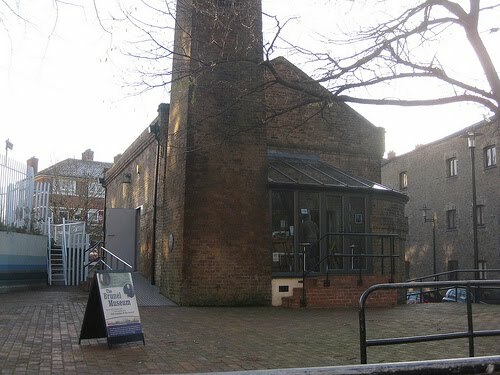 The Brunel Museum is located in an old Engine House in Rotherhithe, which was once part of the famous tunnel of Sir Marc Isambard Brunel, and still carries the East London Line under the Thames. It is a relatively small museum, charting the work of Sir Marc Isambard Brunel and Isambard Kingdom Brunel and it is fitting that it is on the site of a project they worked on together, the tunnel itself. The exhibits do, however, cover their lives and works beyond that project. The museum is open from 10am to 5pm almost every day and entry £2 (£1 concessions). It is a great place to pop into for a while if you're in the area, and you will almost certainly learn something. 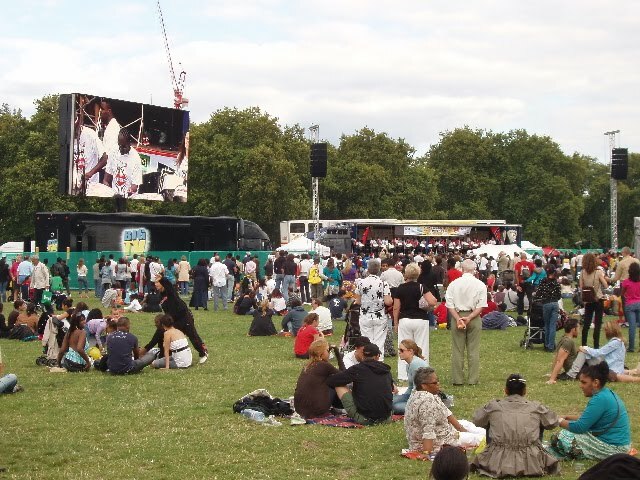 It's carnival weekend, and the first major event of the weekend is the National Panorama Competition, an annual competition of the UK’s top steel bands, which this year takes place in Horniman’s Pleasance Park, Kensal Road, London W10. It is free and runs from 6pm this evening through to 10pm, involving around a thousand performers and some of the best steel bands in Britain, or anywhere. For the past five years, it has been won by Ebony, the carnival legends who have been playing in and around Notting Hill since 1969, so it will be interesting to see if they can take the prize for another year, to set them up for their performance in the carnival parade on Monday. Established in 2008 by a former BBC bod, Teapod is a contemporary tea house on Shad Thames, near Tower Bridge in South London. Your author is immediately endeared to it as their aim was to create a place where people can enjoy the sort of great quality loose leaf tea, which isn't available in your generic local generic coffee chain. 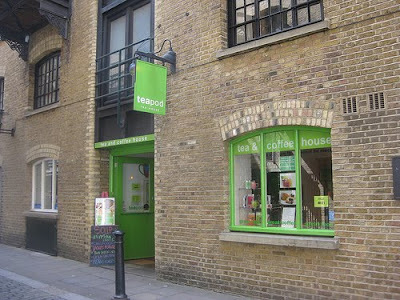 Their range includes loads of classic teas, including Darjeeling, Green tea and fruit and herbal blends. The teas are apparently picked by their own master tea blender, a chap called Alex. 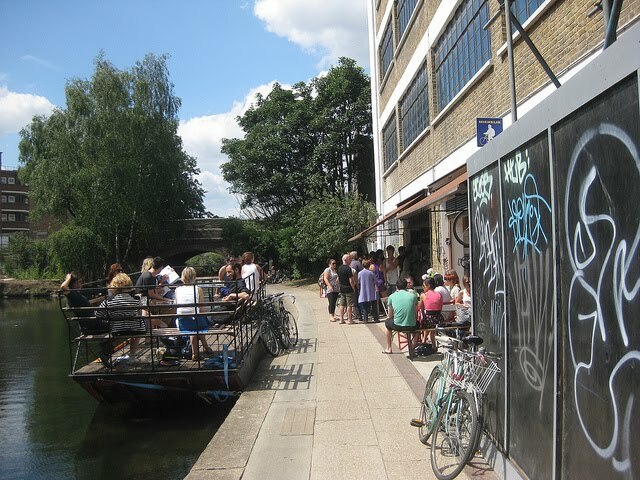 Cycling along the Regents Canal this summer, your author has been pleased to note that at one of the trendier points, someone has opened a small cafe opening directly onto the towpath, with a few bench seats. More recently it has even gained a small pontoon with seats on it. According to Time Out, it's the idea of Italian-American food writer Lori De Mori and her food photographer husband Jason Low, and as ideas go it's not a bad one. They tell us that the cafe is open 8am - dusk Tue until Fri, 9am until dusk Sat and 10am until dusk on Sundays, and that main courses cost about a fiver. Your author doesn't usually recommend Nicholson's Pubs, as they are often of dubious quality, but the Coal Hole, on the Strand, is certainly nice enough. 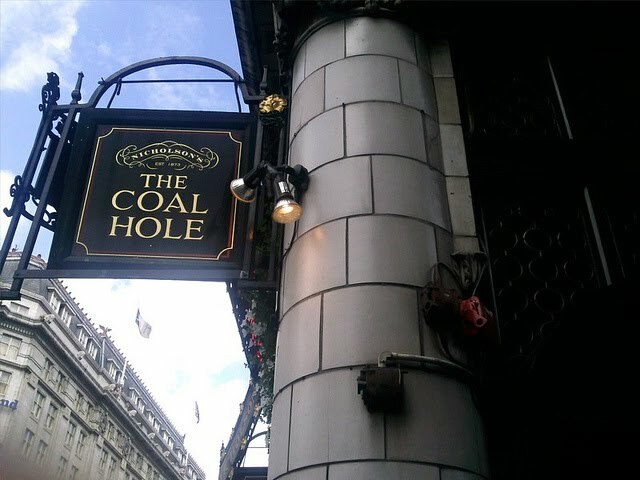 The website tells us that the Coal Hole occupies what was once the coal cellar for the Savoy Hotel, and that in the Victorian era, the pub was a 'song and supper' club where regulars were encouraged to sing comical songs and sentimental ballads. We are told that Gilbert and Sullivan regularly performed here in Edwardian times, the Shakespearean actor Edmund Keane started a club in the pub for for oppressed husbands forbidden to sing in the bath here, called The Wolves' Club. Opened in 1908, the Japanese Garden in Peckham Rye Park. It was built around an old pond and now features a series of stream fed ponds, with Japanese plants and shrubs. 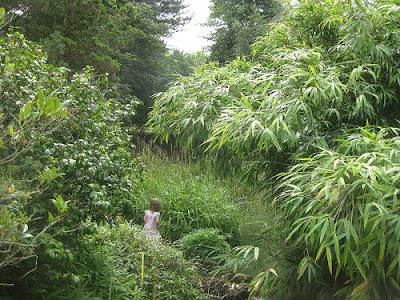 The garden features a Japanese bridge, and a Japanese shelter, installed in 2005 at the Southern end of the garden. 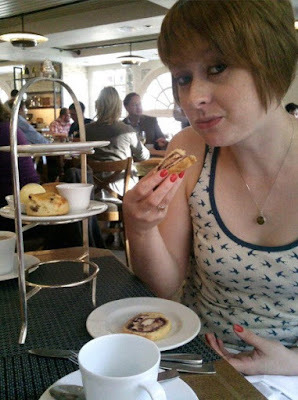 For National Afternoon Tea Week last week, your author had a very pleasant Afternoon Tea at the Gallery Restaurant, at Fortnum and Mason on Piccadilly. The Gallery is on the mezzanine floor, overlooking the Fortnum's famous Food Hall on one side and has windows on two sides overlooking Jermyn Street and Duke Street on the other. Many of the dishes feature items from the famous Food Hall, and the staff are excellent. The restaurant is open Monday to Saturday, 10am until 6pm, and Sundays from noon until 6pm. 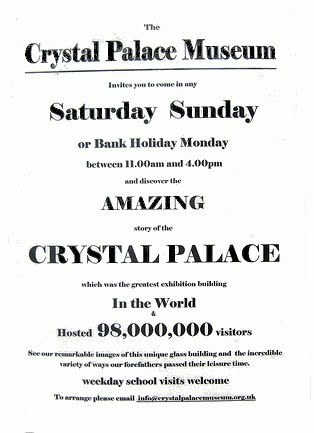 A small museum beside the Terraces on which the Crystal Palace once stood in Sydenham tells the story of the Crystal Palace in both Hyde Park and Sydenham through photographs and displays of original documents and ceramics. The museum is housed in the only surviving building constructed by the Crystal Palace Company, and constructed around 1880 as a classroom for the Crystal Palace Company’s School of Practical Engineering. The Crystal Palace was created by Joseph Paxton for the Exhibition of the Industry of all Nations in 1851. In the summer of 1852 it moved to a news site was on Sydenham Hill, in South East London and reconstruction commenced. We all know about the various memorials to humans who took part in the wars and conflicts of the 20th century, but there is also a memorial in Hyde Park to commemorate the horses, mules, dogs, pigeons, elephants, camels, oxen, bullocks, cats, canaries, and even glow worms who gave their effort, and often their lives, in support of British, Commonwealth and Allied forces. 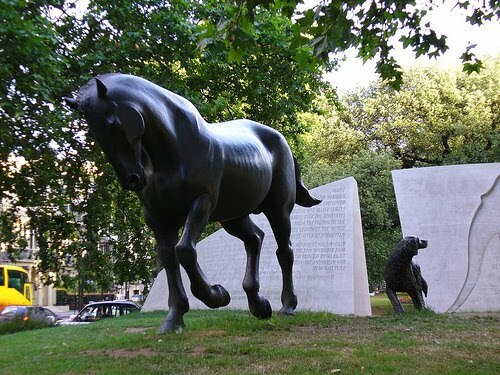 The sculpture was designed by Somerset-based artist David Backhouse and constructed in Portland stone and cast bronze. It was opened by HRH The Princess Royal in November 2004 at Brook Gate, Park Lane on the edge of Hyde Park. It cost £2 million, which was raised through a national appeal and donations from individuals, charities and companies. Today, Friday 20 August, marks the celebrations of the 70th anniversary of the Battle of Britain in Whitehall, with a special Battle of Britain Memorial Flight Spitfire and Hurricane fly-past overhead at 4.05pm. At the Cabinet War Rooms, there will also be a special reading from Winston Churchill’s famous, ‘Never in the field of human conflict was so much owed by so many to so few’ speech at exactly 15:52pm, the time it was originally delivered by Churchill on the same day 70 years ago. 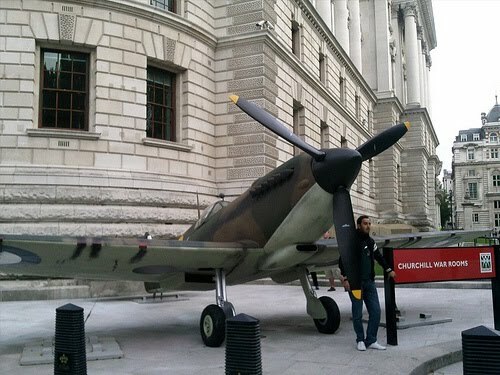 Outside the War Rooms, there is also a full size replica of a Supermarine Spitfire Mk 1, which will remain in place to mark the occasion until the end of the month. St Giles-in-the-Fields is another often-missed parish church in the heart of the West End. 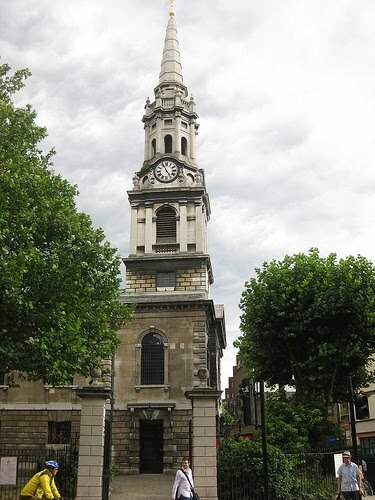 Built in 1734, the current church replaced a number of previous structures, the earliest-recorded of which was built in 1101, as a chapel attached to the nearby monastery and leper hospital founded by Matilda of Scotland, wife of Henry I.
Whilst the parish population was around 30,000 in 1831, it has now fallen back to less that 5,000, with the church now acting as an important focal point for the surrounding commercial district, and as a quiet space to escape the busy local area. 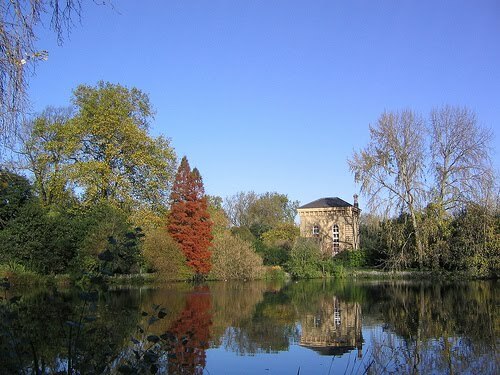 A grade II listed building in the heart of Battersea Park, the Pump House was built in 1861 to supply water to the lakes of Battersea Park. It eventually fell derelict, until in 1986 it came under the control of Wandsworth Borough Council who joined up with English Heritage to restore it at a cost of £400,000. In 1992, it reopened as a shop, information centre and art gallery, and finally in 1999 became a permanent gallery space under its present name, The Pump House Gallery. 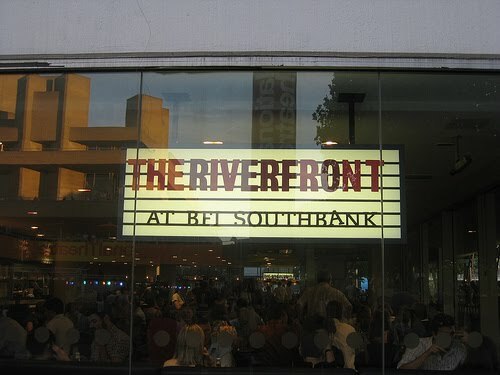 Today, the exhibits a range of works of arts, and also acts as a venue for events, workshops, talks and film screenings. It is also available for hire as a location for private parties and events, and weddings and civil ceremonies. 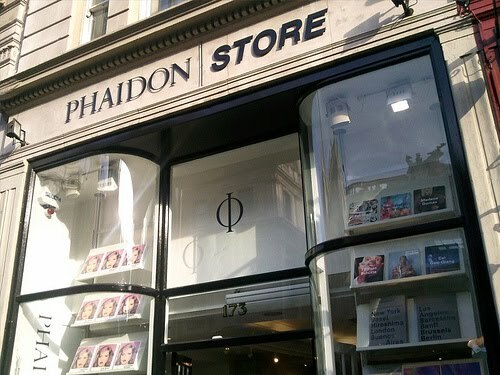 Top art book publisher Phaidon was founded in Vienna in 1923, aiming to deliver quality books at affordable prices. Phaidon was forced to move to the UK during the Nazi occupation of Austria, where it has remained ever since. Their only UK Store is at 173 Piccadilly. This is one of those 'flagship stores' which just aims to build the brand a bit, but having said that, given that this brand specialises in beautiful books, it's a lovely shop to hang around in, and offers books like Wallpaper* City Guides, The Art Book and The Story of Art, at usual prices. 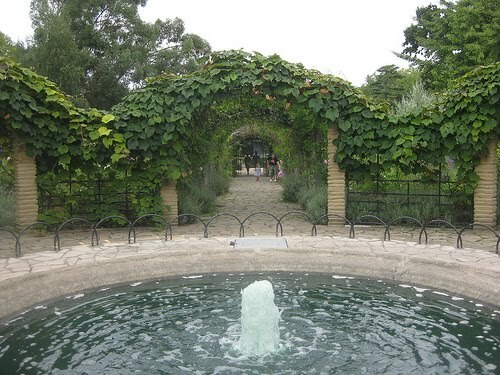 At the Centre of Peckham Rye Park, the Sexby Garden is a formal garden which was restored in 2004-5 with a grant from the Heritage Lottery Fund, named after horticulturist and first Superintendent of London County Council Parks Department, Lt-Colonel J.J. Sexby. Sexby designed this aspect of the park, which was originally called the Old English Garden, and it was added as part of the second phase of the park between 1906 and 1915, though it would appear it wasn't renamed the Sexby Garden until later. The Garden is set out in a formal style, with a range of plants and shrubs, as well as fountains, paving and pergola structures, and benches around its edge. When your author popped in yesterday the herbs and lavender in the garden meant it was a full multi-sensory experience. Nestled amongst the incessant throngs of tourists, gift shops and fast food restaurants beside the Tower of London is a small round building, which marks an entrance to the Tower Subway tunnel, beneath the Thames. Constructed in 1869, it is sometimes claimed that this was the world's first underground tube railway (as opposed to parts of the Underground network which were already in existence, which used the 'cut and cover' method). The tube, which is seven feet in diameter, linked Tower Hill with Vine Lane, off Tooley Street, just behind the South Bank. Originally, the Subway shuttled passengers across the river using 12-passenger small cable car, powered by a stationary steam engine on the south side of the tunnel. However, this took about 70 seconds and was very cramped, and the uneconomical service only lasted from opening in August 1870, until the Tower Subway went into receivership in November 1870. The tunnel was then converted to a pedestrian walkway, which was more successful, but when Tower Bridge opened, in 1894, this became largely redundant. 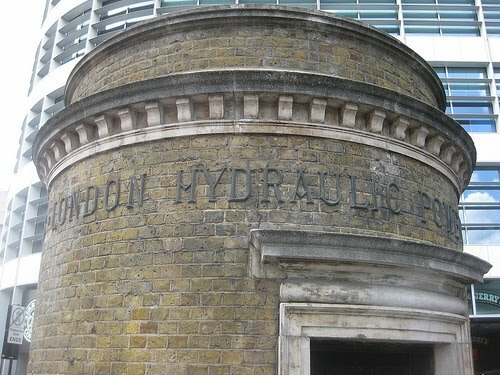 The Tunnel finally closed in 1898, having been sold to the London Hydraulic Power Company in 1897, in order to carry pipes and water mains across the river. The tunnel was slightly damaged by a Second World War Bomb, it is still intact. The entrance shown above is not an original one, but still provides an entrance to the tunnel today. 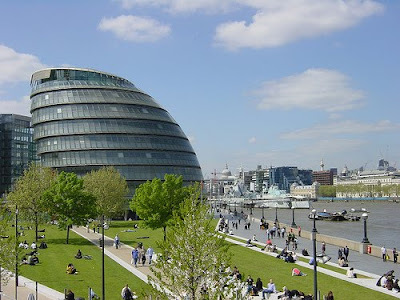 It doesn't seem five minutes ago that your author was at the opening of Potters Fields Park, beside City Hall and Tower Bridge on the South Bank. It was actually 2007 when the space was extensively landscaped and managed into what we see today, with the help of Landscape architects Gross Max. Your author popped into the Design Museum Shop yesterday, and was really impressed at some of the great things they have on sale there. The Museum website tells us how, over two decades, the Shop has evolved from a small outlet selling postcards and a handful of products into a destination store for design conscious visitors from all over the world, and it really did seem like that was the case. Frustratingly, it was only when your author entered the building that he realised he had left all his money at home, and couldn't buy any of the nice things he found there. Probably for the best, as it is all fairly expensive and it would be easy to spend a lot of money. So, if you're looking for some really pretty things to spend money on, or some nice books, cards or wrapping paper, why not pop in? 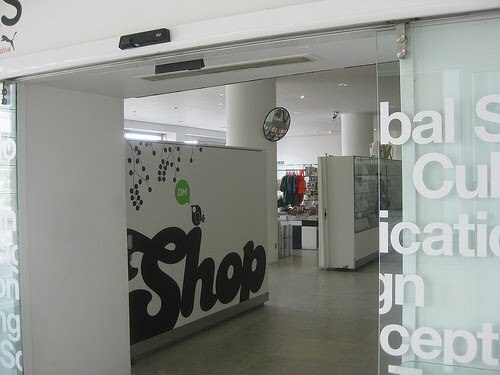 The shop is open daily from 10am until 5.45pm, and you can find more information and view products at http://designmuseumshop.com/. 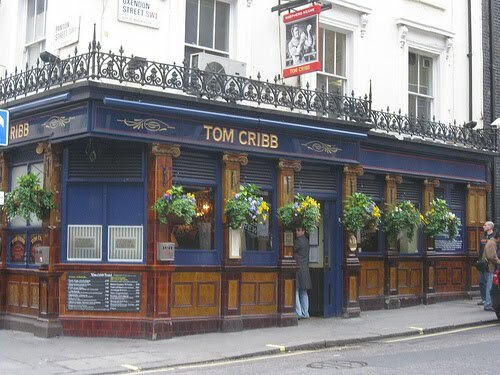 The Tom Cribb, at 36 Panton Street in Piccadilly, isn't a particularly notable pub, but it does pay tribute to a famous Londoner, a 19th century bare-knuckle boxer who rose to become world champion. Following his retirement from boxing in 1812, he went on to run a pub in the very same street as the modern-day Tom Cribb pub, running the Union Arms at 26 Panton Street, and this is why the current pub was given his name. In 1839, Cribb moved to Woolwich, and eventually died in 1848, at the age of 67. He is buried at St Mary's and St Andrew's, Woolwich, and a monument to his memory still exists there. As readers may have spotted in news, the Eleanor Cross at Charing Cross was unveiled yesterday, following a substantial renovation. 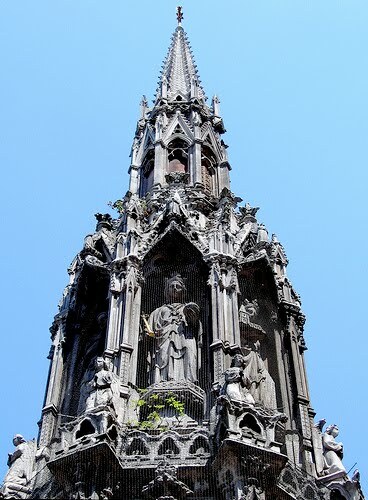 There were originally 12 Eleanor Crosses, which were erected in the 13th Century on the orders of Edward I, in memory of his wife, Eleanor of Castile, and to marki the route which her body was taken to London. The Eleanor Cross in Charing Cross was traditionally the point where all mileage distances on road signs to London were measured. The original monument was demolished in 1647, and the current structure outside Charing Cross is only actually 145 years old, and was originally commissioned by the South Eastern Railway Company in 1865, to stand in front of their Charing Cross Hotel. The Tea Building, on the corner of Bethnal Green Road and Shoreditch High Street in Shoreditch, is home to a restaurant, some galleries, offices for 'creative' types, and even a hotel, but your author didn't know much about it until he stumbled across a fascinating article by Ann Robey in the latest Hackney Society Newsletter, and felt like it was worth sharing. The building was apparently designed by New Zealand born architect Hal Williams, and built in two stages between 1931 and 1933 as a bacon factory for Lipton and Allied Foods. 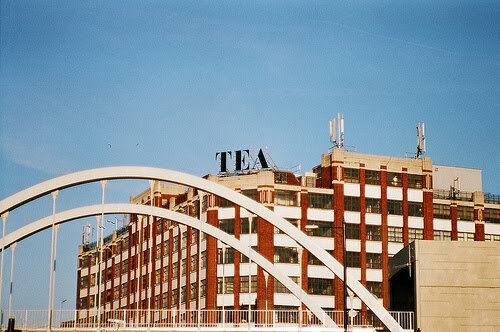 It wasn't until the late 1930s that it also started to be used for processing and packing tea. 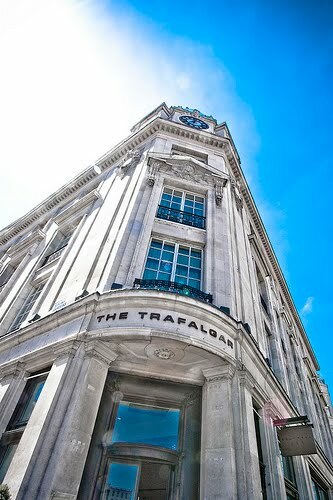 Your author's family stayed at the Trafalgar Hotel when they visited for an important anniversary earlier in the year. They were very well taken care of by the staff, and the hotel's location is absolutely perfect for exploring central London, especially for those with limited mobility. Like all such things, especially in this area of town, it comes with associated costs, and whilst there are probably other hotels in the vicinity worthy of note, this one earned your author's heart with the care and attention the staff paid to his Grandfather during the stay. But, if readers are looking for facilities, the hotel prides itself on being London's most central hotel, having a large open-air rooftop bar, being home to the Rockwell Restaurant, and having a full modern fitness centre. The rooms aren't half bad, either, and if you're lucky, have some great views to Trafalgar Square and nearby landmarks. 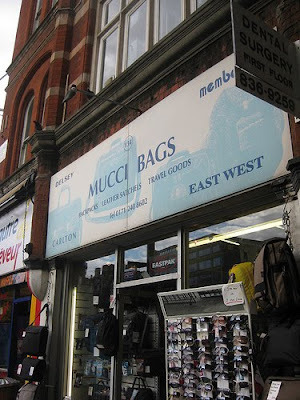 Your author visited Mucci Bags, at 134 Charing Cross Road, on Thursday and bought a very nice new bag for a reasonable price. However, in conversation with the owner, he learned that, despite a 30 year history on the site, the shop has lost substantial trade due to the neighbouring Crossrail works. Being in the middle of a building site isn't particularly good for business, and also reduces passing trade, so the takings at Mucci are suffering. It isn't a particularly attractive premises, but they do stock a good range of bags, including some smashing leather satchels, and given the Crossrail problems, it felt like they were worthy of a mention. The proprietor was a thoroughly nice chap, and your author is always keen to champion independent traders, so hopefully a few readers will consider popping in. The shop is open seven days a week, and you can find more information here. Your author popped into the launch party at the new Ayoka Charity Boutique in Bethnal Green last night, and picked a new jumper, a nearly-new John Betjeman book and a nice bag for only £4.50. The age of charity shop bargains, it would seem, is very much alive, and best of all for a vintage clothes shop, it didn't feel like everyone was judging him. 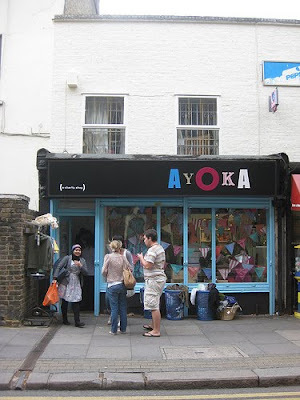 Part of the St. Maragaret's House Settlement, Ayoka is a charity boutique raising funds for the African Women’s Welfare Association, and staffed entirely by volunteers. The project is really just a relaunch of the Ikosi Creations which formerly occupied the site, but it is pretty and the products on offer are good, and reasonably priced, so who is complaining? The shop, at 23 Old Ford Road, Bethnal Green, stocks quality second hand and vintage clothing, books, records and cds, accessories and some childrens' clothes, and it's open from Monday - Saturday, 10am until 6pm and Sundays from noon until 5pm. For more, see their facebook page here. Sutton House is the Grade II* Listed oldest house in Hackney and has its own National Trust fully licensed tea-room, which offers a range of drinks, cakes and snacks. 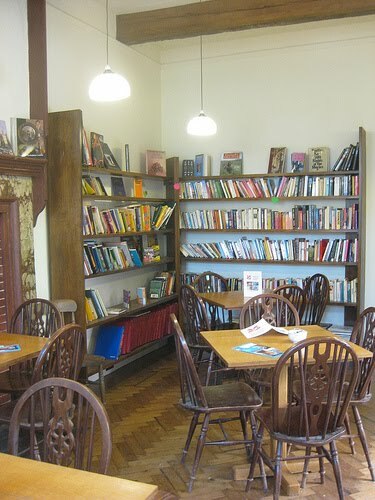 It also has its own second-hand bookshop, with shelves packed with a range of books at very reasonable prices. Visitors can choose between sitting outside, in the conservatory, in the 'library' area pictured, or out in the main courtyard of the house. Your author has always been a big fan of the Glastonbury Festival, and finally found time yesterday evening to visit Venetia Dearden's exhibition in the Bookshop Gallery at the National Portrait Gallery. The exhibition accompanies her book, Glastonbury – Another Stage, which celebrates the 40th anniversary of the festival, with portraits of performers from Shirley Bassey to Lily Allen, Pete Townshend and Leonard Cohen, and a selection of festival attendees. It's all a bit clichéd, but it is a nice reminder of a fun weekend in the country which comes but once a year. 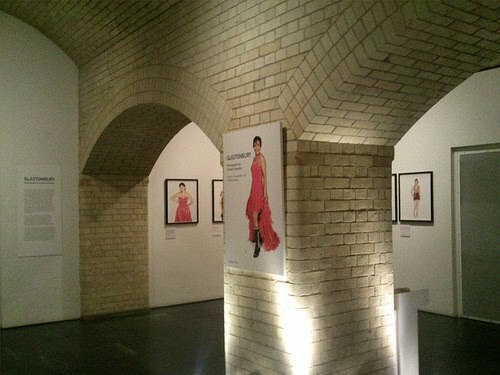 The exhibition runs until 3rd October. For more, see http://www.npg.org.uk/whatson/display/glastonbury-photographs-by-venetia-dearden.php. 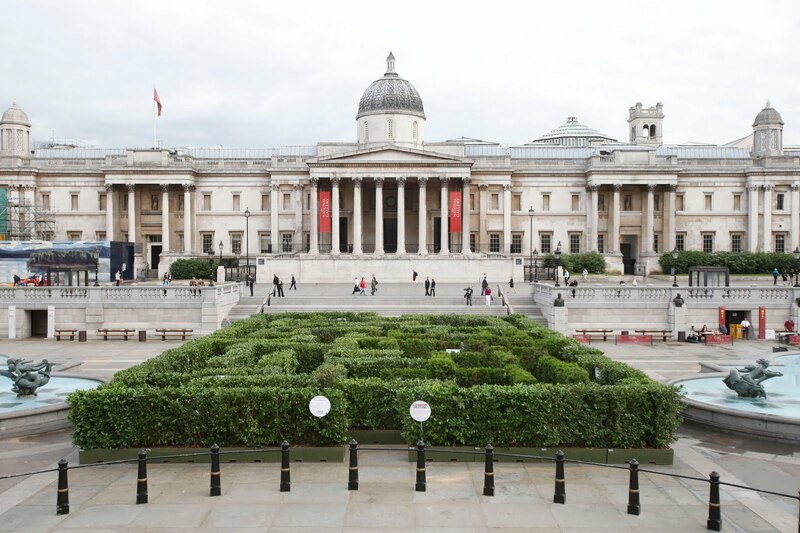 In a brilliant marketing stunt, the West End Partnership yesterday erected a maze in Trafalgar Square, as part of campaign to encourage us to enjoy getting a little lost in the West End. 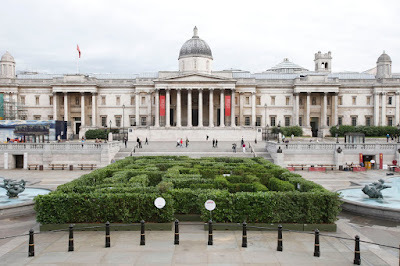 It's lasting for five days, and encourages visitors to explore the maze, which is broken down into themed 'streets' which mirror famous West End ones. 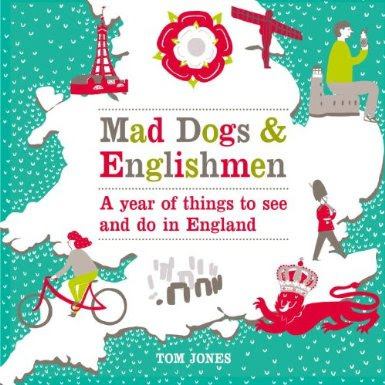 Each ‘street’, we are told, will highlight some facts about the cultural history of the West End. The maze, which has been produced by the fantastically-named RentaHedge, runs until this Friday, and is open 11am until 8pm, so this is not just one for the tourists - you can do it after work. 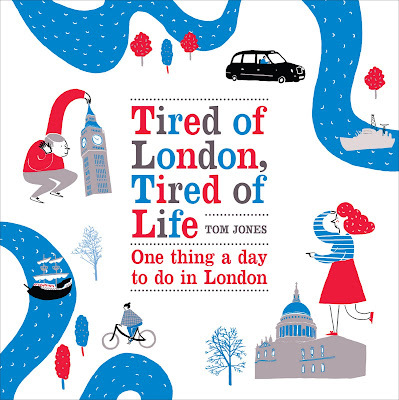 Your author, for one, loves getting lost anywhere in London, but especially in the West End, and will certainly be popping by. 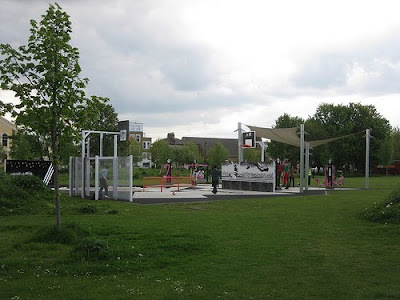 At the Northern end of Mile End Park is a free outdoor gym, opened in autumn 2008 by Olympic Gold Medallist Christine Ohuruogu, and supported by Adidas who are one of the sponsors of the London 2012 Olympic and Paralympic Games. The zone has a traversing wall, kickwall, basketball goal, tennis wall and freestyle area for gymnastics, judo, aerobics, dance and taekwondo, and it is hoped that the zones will break down the barriers that prevent people from getting active making sport participation accessible, and it is one of five such zones. Equipment includes a fitness bike, a chest press, a cross trainer, an abdominal bench, a ski machine and a treadmill, and it's free. Piccadilly Art Market runs every Saturday and Sunday on Piccadilly. Traders show up in box vans and exhibit their wares along the side of the street. 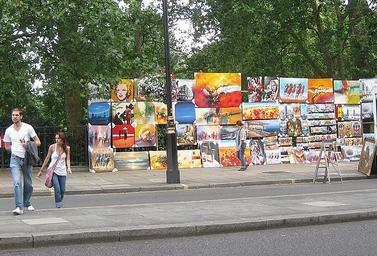 Art and other sale-worthy items are hung along the fence of Green Park between Green Park Station and Hyde Park Corner.